This fun sticker book is designed to help children develop their vocabulary and reading skills. 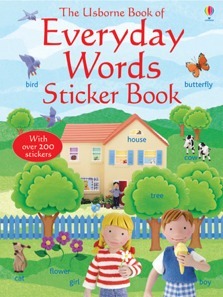 Children can begin to associate words with objects by matching the words on the pages to those on the stickers. Jo Litchfield’s charming scenes provide lots to talk about, and pre-readers will enjoy simply spotting and naming familiar things.